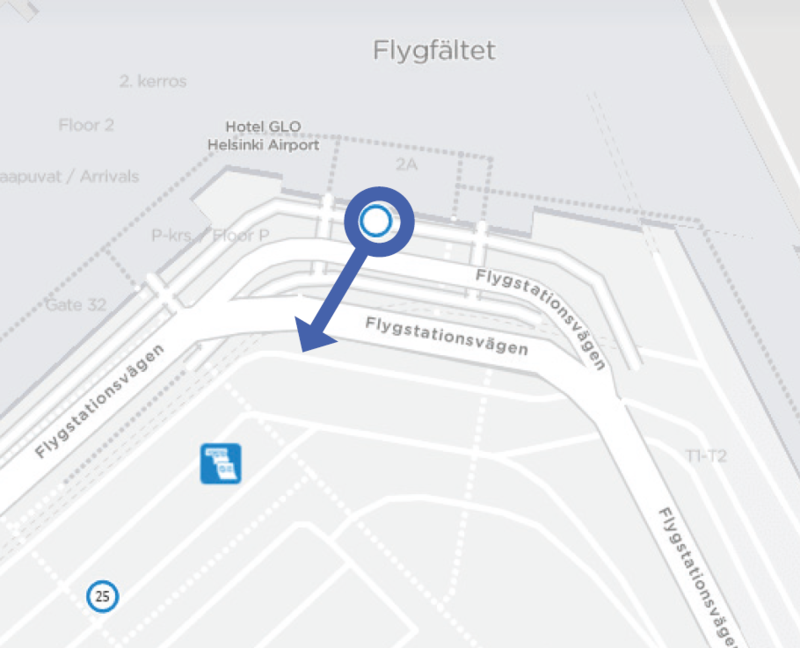 The drop-off stop (V5324) at the departure level of Terminal 2 is relocated to the arrivals level on Monday 4 February 4am due to the construction works underway at the airport. The new drop-off stop is platform 10. The stop is currently served by Finnair buses. Buses continue to depart from platform 25. The change affects all buses serving the aiport: 415, 415N, 561, 562N, 615 and 617.